For those people that like to spend a ton of time outdoors with a group of others such as hiking, walking, cycling or most anything similar, and are looking for a way to have a conversation with the entire group without having to yell, using some kind of walkie-talkie like product, then the BONX Grip is probably the product for you. It’s marketed as an outdoor sports group talk system, which in all intents and purposes that’s exactly what it is. 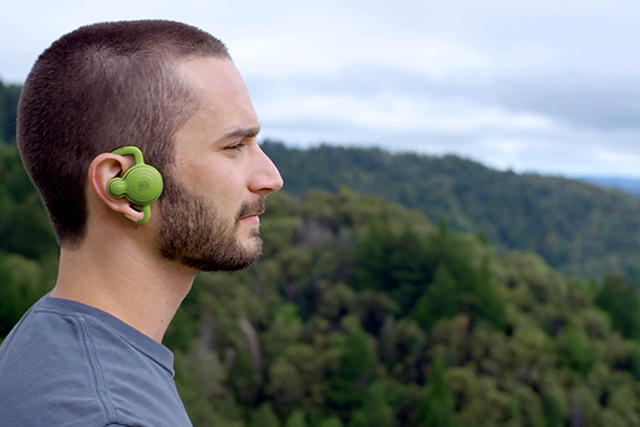 The BONX Grip are earbuds but made for the active person so that they stay in place while you are running, jogging, cycling or anything similar. 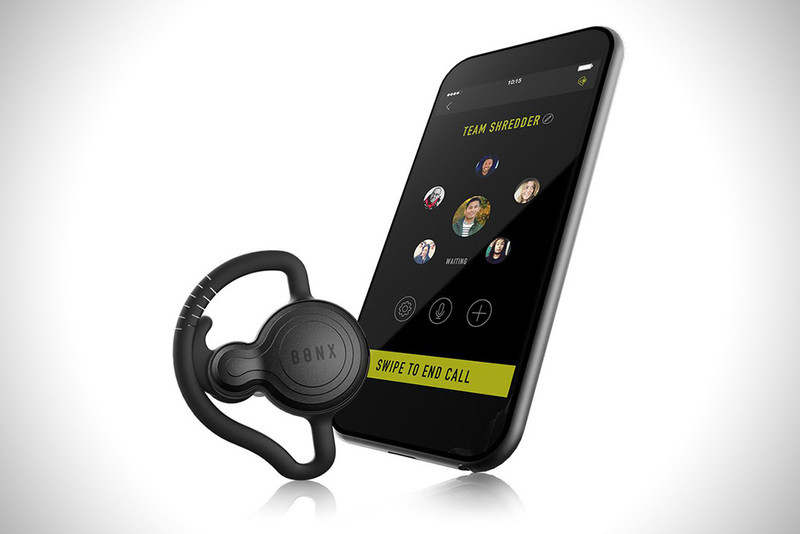 The BONX Grip will really come in handy for those times that you’re doing something active and either don’t want to pull out your phone or actually can’t pull out your phone to take a call and talk to someone. 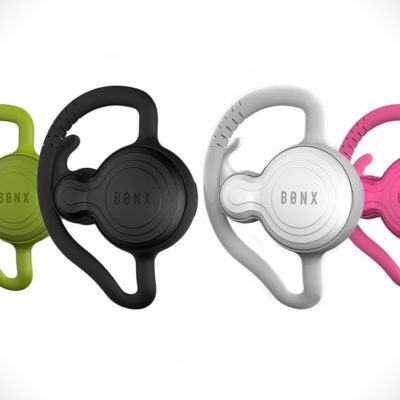 The BONX will allow you to be in a group chat with up to ten other individuals, however, those individuals will all need to have a pair of BONX as well. This can be a bit expensive at $140 a pair, but in the end if you do a lot of a certain type of activity with your group of friends, then it’s quickly a great investment. To get started, you simply need to install the app on your smart phone, and you can do so by going to the Google Play Store or the Apple App Store, installing the app and then simply pairing your device and the BONX Grip via Bluetooth just like you would any normal set of Bluetooth headphones. Once that’s done then you’re ready to head to the great outdoors with all of your buddies and do what it is you enjoy doing but knowing that you’ll be able to enjoy great conversation along the way without having to hold your phone or a two-way radio or anything similar. 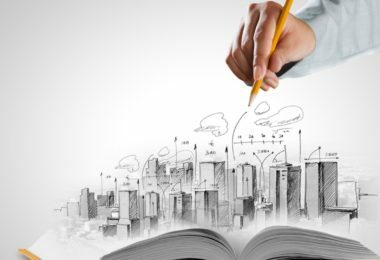 Enable you to start the conversation without touching a button – just start talking! The folks at BONX want to make one thing clear and that’s that the BONX Grip isn’t a walkie-talkie. 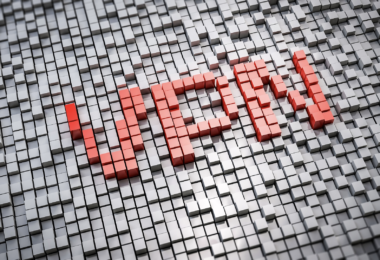 While it might seem like it in a lot of ways, the big difference is that it does use a Wi-Fi connection or your phones mobile data connection to keep you connected to your group of friends. Essentially this means you can be in the USA and out on a hike while your friends are in Australia working out in their local gym. 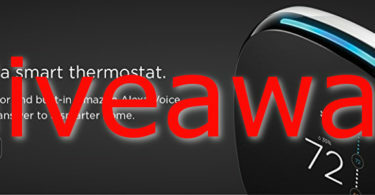 As long as all 10 of you have a BONX as I mentioned above then this won’t be a problem. And one great thing to note is that since it does use your Wi-Fi or mobile data connection, if the group call gets dropped on your end, or anyone’s end for that matter, then you or that other person will be automatically connected right back to the group chat as soon as you have a connection again. No reaching in your pocket for your phone to connect again. 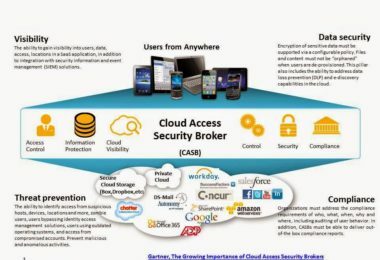 How this works is that it creates private call rooms for the users to join into and chat with. Kind of like the old AOL days of having “chat rooms” but instead of it all being text, it’s done over a phone call. This is super cool as I got to test this since BONX sent me over two pair of their products so that I could test it with another person. My wife and I each put on a pair, got them comfortable to our liking as there are two different sizes of ear pieces and three sizes of ear loops. The only complaint here from me is that there are only two sizes of ear pieces. I seem to have much smaller ears than most people so having a smaller size is often important, however I managed to get a comfortable fit and the ear loops truly helped keep the BONX in place. Once we had our BONX Grip in place, we headed out on a walk through some of the trails in the woods we have around our house. She went one way and I went another that we knew would quickly end up getting us about 1/2 mile apart from each other, which would be far enough away that we knew we weren’t able to use something like a walkie-talkie or two way radio by just having it in our pocket and an ear piece in our ears. We continued to walk around and steadily got a bit further apart and as long as we didn’t lose service, then our conversation wasn’t interrupted in any way. We could easily keep exploring and chatting as if we were in the same room together and sound quality was no different than it is when you make a normal phone call to someone. The BONX Grip has a couple of needed buttons on it that do the normal things most earbuds like these do. There’s a larger button that allows you to answer a call as well as hang up after a call is completed. It also acts as a push-to-talk button should you need this feature instead of using an open line between you and your friends. I never really tested this feature as I just always kept an open line between my wife and I and it also gave me a more complete hands-free experience. There is a smaller button as well and this button acts as a mute button in case you need to mute your voice going through to the group chat to talk to someone locally that you don’t want that conversation to be heard by all of your friends in the BONX Grip group chat. A couple more features of the BONX Grip is the fact that it has noise canceling and voice recognition as well as a waterproof rating of IPX5. I can tell you that I didn’t test the IPX5 rating other than being outside with the BONX on a day it was raining for a few minutes and during that time I had no issues with the BONX Grip as it did get slightly wet, but nothing too major. I can only assume it works as advertised. Noise canceling on the BONX is great. When talking to someone in the group chat I knew that there were others around my wife at one point that I should be able to hear as general conversation was happening, but due to the noise canceling that BONX provides, all I could hear was her. This is important for when you’re out jogging or cycling and you have things like the breeze blowing or just natural noises around you. You don’t want those to be projected through to your friends which will make the group conversation a bit difficult to hear. 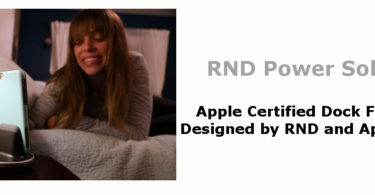 BONX really excels here with their noise cancellation and this is definitely something I add on a few points to their overall score below in the ratings section. BONX states that the battery life on the Grip is right about 7 hours. For me I can’t argue with this statement as I used it on several occasions and I consistently got 6 hours and 45 minutes each and every time. Now this will vary depending on how you use the product. If you do choose to use it more as a set of earbuds to listen to music, which they do by the way, then I would suspect you’d get a bit less battery life especially the louder you listen to the music of choice. For the group chat which is what I tested extensively, nearly 7 hours on the dot every time which is a decent amount of time for something this size. As mentioned above the BONX Grip might seem a bit pricey at $139.95 especially since you need at least two pair if it’s something you and your wife, you and your son or whatever. However, if you spend a ton of time outdoors and need an easy hands-free way of communicating at all times with those individuals, then that price seems relatively cheap and worthy. 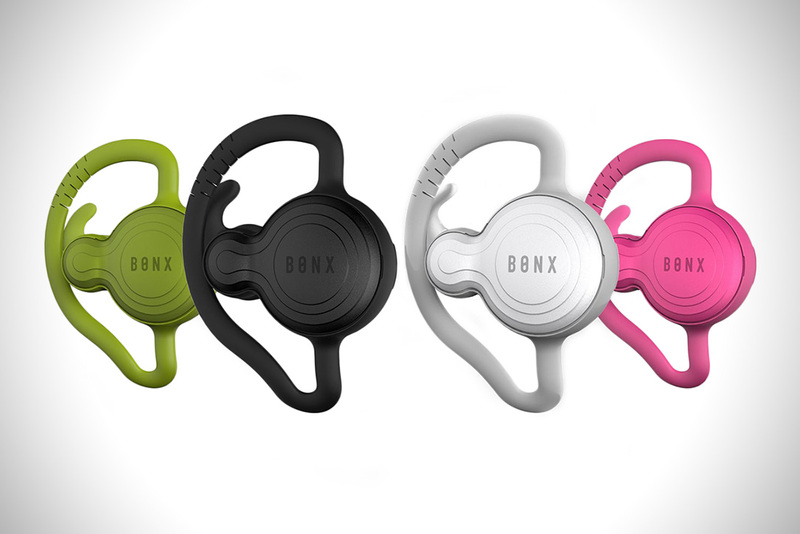 BONX also allows you to choose from four different colors which are black, green, white and pink. 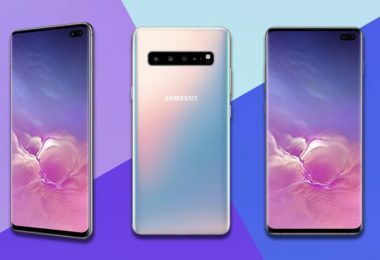 To me this makes sense especially for a household full of BONX Grip users so that everyone can have a different color and not get their devices mixed up with someone else’s.